100 Amazing Photos of the Mercedes Pens. 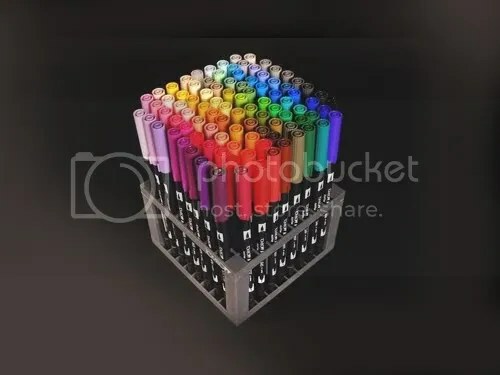 Wondering what to do with all of those empty pens in your desk drawer? Checkout this great recycling project by Costa Schuler, The Pen Guy. 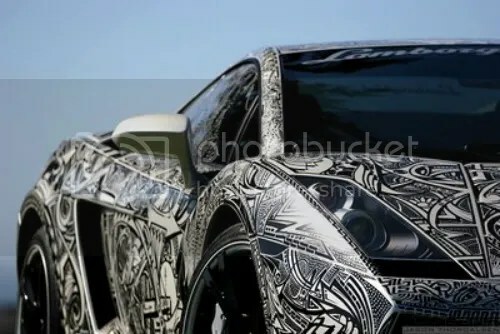 For those of you looking for creative was to you use Sharpie Markers, check out this idea from If It’s Hip, It’s Here. The world’s best known permanent laundry maker, the Sharpie, isn’t just for labeling your underwear. Hand drawn cars, basement walls, decorated ceramic busts and more like those shown here may make you rethink the way you use that stinky pen. The car was actually done in sharpie markers on the paint and then finished with a clear coat for protection. It took about 2 weeks total. Prestige (Lamborghini Miami)definitely shocked a lot of people when this car was first seen in California during the Concorso Italiano/Pebble Beach week. It attracted attention good, and apparently bad as well, everywhere it went. One of the journals in the worldwide journal swap I participated in was filled with nature inspired illustrations. 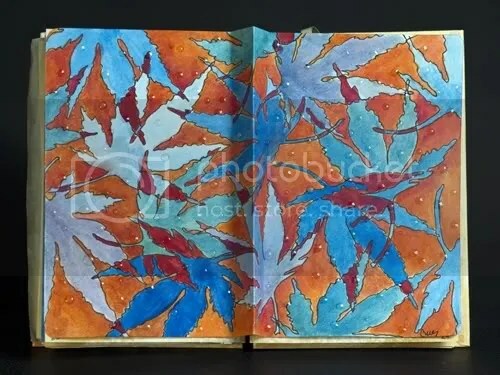 My entries were of leaves, created with 2 types of markers, Copic Sketch Markers and Tombow Dual Brush Pens. Color blends were used in both images, but the Copic markers produced blends that were more translucent and ethereal in appearance, while the Tombow markers seemed bolder. Part of the difference may be due to the more graphic appearance of the first illustration, or maybe it is because the Tombow markers are water-based and the Copic markers are alcohol-based. Whatever the reason, the Tombow markers seem to produce bolder, sharper looking color. This illustration was rendered using Tombow Dual Brush Markers. I added water drops to the surface of the paper using a glossy gel medium in small blobs. The leaves were created using Copic Sketch Markers. The center of the paper was crimped to cover the spiral binding, the left and right sides of the paper was glued to the journal pages. 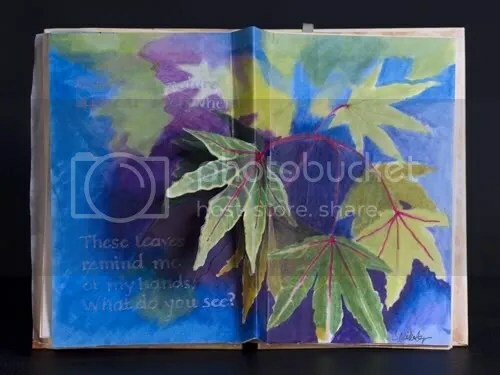 The left side of the leaf in the center was cut out of the watercolor paper so it would pop up when the pages are opened. Both markers are high quality, professional grade products but you may prefer one over the other depending on your project. The water-based Tombow markers are appropriate for use on paper-based surfaces and can be thinned with water like water colors. The ink is not permanent and will not bleed through your paper’s surface unless you you saturate the paper with too much ink. The permanent, alcohol-based Copic markers can be used on a variety of surfaces including paper, ceramic, glass, fabrics, metal, leather, plastic and more. Unless you are using Copic’s special marker paper, the Copic markers will bleed through most papers, however. 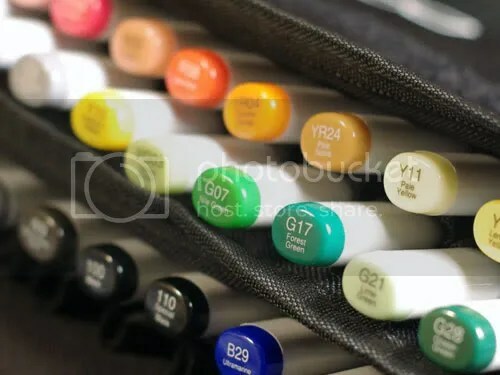 Copic markers are available in a variety of different sets and color combinations in both Ciao and Sketch marker styles in sets of 12, 24, 36 and 72. Tombow Dual Brush Markers are available in sets of 6, 10 and 96. Primary, secondary, landscape, portrait and other color sets are designed to fit the needs of individual artists. 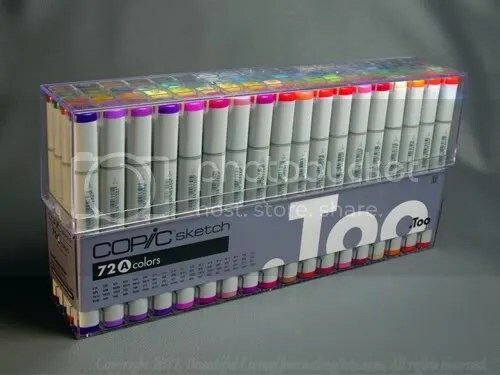 Copic Markers Now Available at JournalingArts.com! 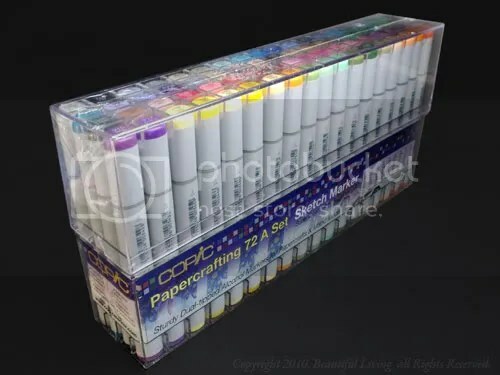 Copic markers are now available at JournalingArts.com. 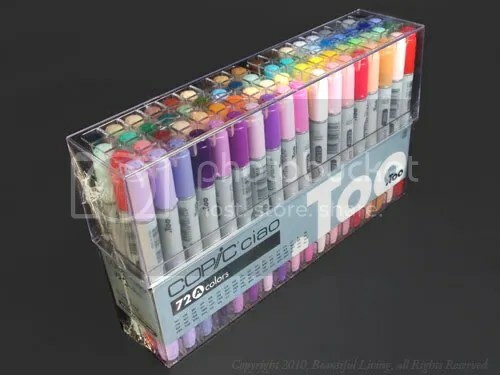 For those of you who love top-of-the-line art supplies, you’ll be glad to know that Copic Sketch and Ciao Markers are now available at Journalingarts.com. Copic Markers are alcohol-based permanent markers which are non-toxic, acid-free and blend smoothly on paper. They were used for decades exclusively by professionals around the world including architects, illustrators and designers, and now they have become popular among the hobby industry for scrapbooking, card-making, models, ceramics and other artistic projects. I couldn’t resist experimenting with a set of Sketch Markers in my Moleskine Watercolor Journal along with some watercolors and water-soluble pastels. Since water-based and alcohol-based inks do not smear or alter each other, I was able to use the Sketch markers on top of the watercolors without smearing or altering the first layer of color. Because the Sketch Markers are permanent, they do bleed through most uncoated papers, so I primed the page first with gesso to prevent bleedthrough. 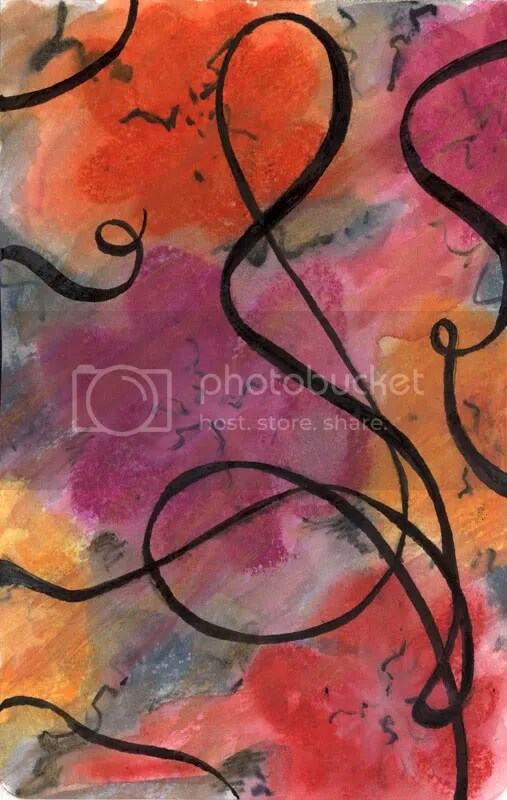 Copic Sketch Markers were used with watercolors and Aquarelle water-soluble pastels in this mixed media piece. Review: Illustrating the Cover of an Ecosystem Large Sketchbook. Ecosystem's Artist Sketchbook was illustrated using permanent markers and pens. The first assignment of a journaling class I have been attending was to find a journal to decorate and claim. 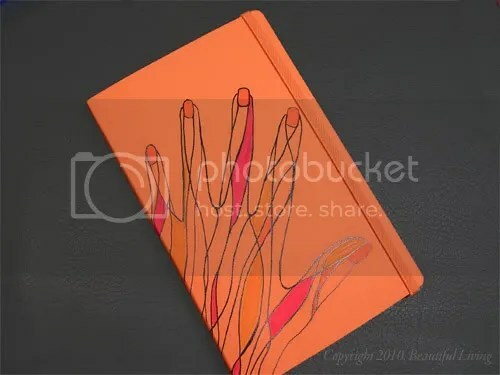 Since I knew I would be creating an art journal, it was time to break out a bright orange Ecosystem Sketchbook that I received as a review copy from the folks at Ecosystem. I struggled with committing to a topic for this journal, but ultimately decided to create an affirmation journal, which supported my desire for more creativity in my life. 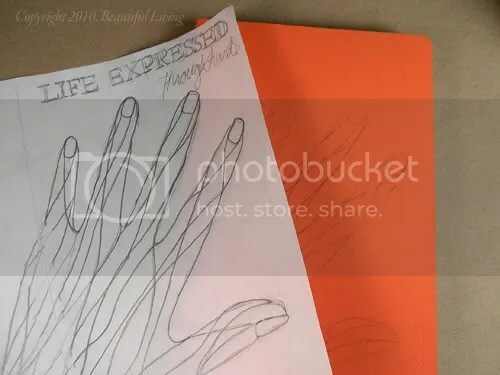 Since most of the artwork I do is created by hand, I decided to use the image of a hand on the cover to be the central theme. I chose this sketchbook for a couple of different reasons. I was enamored with the unusual texture and bright color of the cover and I have been wanting try some different mediums on the bright white sketch paper. 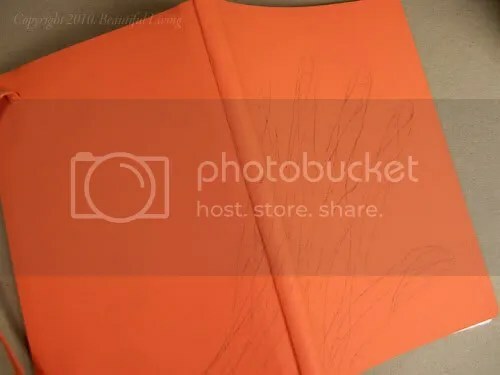 For this review, I am focused on using different pens and markers on the sketchbook’s cover, which has a matte finish that feels similar to the texture of an eggshell. By touch, I suspected it would be a good receptor for permanent markers. I did the original illustration on translucent paper and then transferred it to the sketchbook's cover using charcoal on the backside of the image. I drew the illustration on translucent layout paper so I could transfer the image to the cover rather than drawing directly on the cover. This gave me more freedom to create and enabled me to throw the paper away if I didn’t like it. It also gave me a chance to experiment with the design. Once I had an illustration I was happy with, I turned it over and rubbed charcoal on the back of the image where I could see the lines. The charcoal became the transfer medium I used to get the illustration to the cover. By placing the illustration on the cover and drawing over the lines of the original drawing, the charcoal was pressed into the cover and the image was transferred. The finished hand illustration after it was transferred to the cover. I started by inking in the black lines over the charcoal lines. I did this to preserve the image because I was concerned that I might smear the lines as I added color. I experimented with different markers, but ultimately ended up using the Tombow Ultra Rollerball Pen because of the rich, black lines. I used a piece of paper between my hand and the cover to minimize any smearing. I used a Tombow Ultra Rollerball Pen to ink the lines because of the rich, black color. By using a slip-sheet between my hand and the cover, I was able to minimize smearing and keep my hand clean. Next, came the fun part, adding color with pens and markers. I used several different markers and pens on the cover and had different results with each. All of the pens had permanent ink and longer drying times than you would experience when using a porous paper. Using water-based markers on the cover resulted in beading ink, poor coverage and smearing, so I did not include these in the test results. The Prismacolor markers were my favorites because of the crisp, clean lines and smooth color in large areas. Sharpie Fine Point Markers – The lines laid down nicely, but as they dried, the lines looked thinner and less saturated than when wet. I found as I added more color with the Sharpies, the wet line would remove any color below. This made it difficult to get a smooth area of color, but this may be due to the tiny size of the nib rather than a problem with the ink. Berol Prismacolor Permanent Markers – These were my favorite markers on the Ecosystem cover. The color went down saturated and stayed saturated once the ink dried, even when using the fine nib. The lines created by the fine nib were crisp and clean . The larger nib laid down saturated color and I was able to create smooth areas of color. I used this marker for the colored areas on the illustration. Pilot Precise Grip – This pen created lines that were crisp and clean and I used it to go over the black lines I originally drew with the Sharpie. They still weren’t as black as I would have preferred, so I decided to go over them with my Tombow Ultra pen. Tombow Ultra Rollerball Pen – Once the illustration had been outlined and the color filled in, I went over all f the black lines again with the Tombow Ultra Rollerball Pen to clean things up. The ink is permanent, although it is not a marker like the others. The Tombow produced very saturated lines that were a bit thicker than the fine point markers, and I loved how black the ink was. 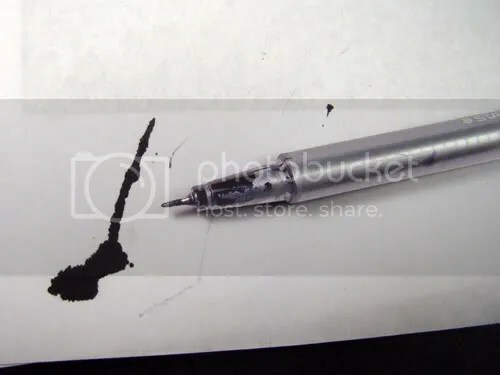 The ink did take longer to dry than the markers, so if you use this pen, you will need to give it lots of time to dry or you will end up with smears. Overall I was quite happy with how the permanent markers performed on the cover of the Ecosystem sketchbook. I would imagine that most permanent markers will work well and would be interested in trying Copic markers in the future. The final illustration. I left room for a title once the journal is complete. I will be doing more reviews of the paper in this journal with different mediums in the future, so stay tuned. 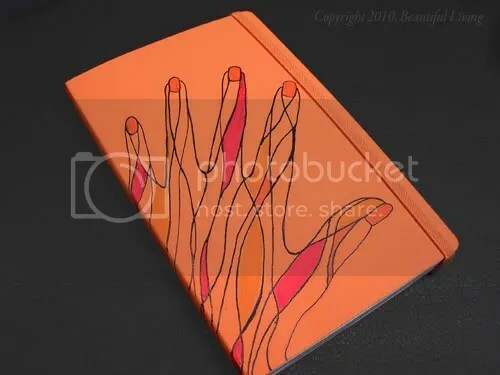 For more detailed information on Ecosystems sketchbooks and their complete line of environmentally friendly journals, please visit their site at: ecosystemlife.com. Those of you who love Staedtler Triplus Fineliners will be glad to know that Staedtler does guarantee their products and will replace them if they are defective. They very quickly replaced my black fineliner that sprung a leak with 2 new pens. I just received my new replacements in the mail today. I am very pleased that they backed up their product and feel confident in recommending the Triplus Fineliners whole-heartedly. Way to go Staedtler! I opened the black fineliner this morning only to find it had a massive leak. It was a real mess and ink went everywhere. I have no idea why this happened, I didn’t do anything abusive or unusual. I have contacted Staedtler to inquire about their warranty. I thought it would be interesting to see how they respond. I hope they guarantee their pens and are willing to offer a replacement. If so, I might consider adding them to my store. I will be sure to post the response I get from Staedtler’s Customer Service. I opened my black Triliner to discover the pen had a massive leak. The ink did not come off easily from my hands and I imagine that it would not come out of clothing very well. If your Triliner leaks, be careful to keep the ink off of your hands and clothing. I have contacted Staedtler's Customer Service and hope that they are willing to stand behind their products.